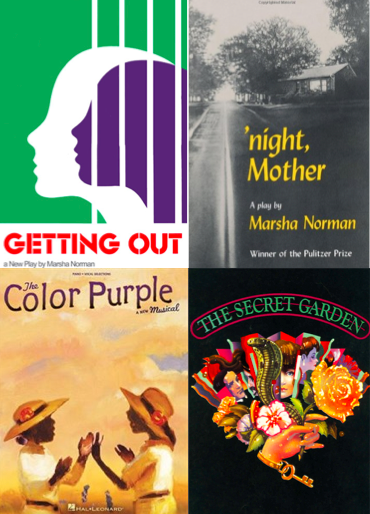 First Produced – 1977 Humana Festival, Actors Theatre of Louisville. A young woman struggles to re-enter the world after eight years in prison, contending with environmental forces as she attempts to assimilate her former and present selves. THIRD AND OAK: The Laundromat. First Produced – 1978 Actors Theatre of Louisville. A young woman whose husband hasn’t come home encounters an older widow in a laundromat in the middle of the night. Produced for television by HBO, directed by Robert Altman, starring Amy Madigan and Carol Burnett. First published: 1980 Dramatists Play Service. Can be performed alone or with The Pool Hall to form a complete evening. THIRD AND OAK: The Pool Hall. First Produced – 1978 Actors Theatre of Louisville. A young DJ arrives at the Pool Hall next door to match wits and pool play with the man who has stood in for his father. Originally written for Joe Morton. Film starring James Earl Jones and Mario Van Peebles produced by Gladys Nederlander, available from Turner Classic Movies. First Published 1985 – Dramatists Play Service. Can be performed alone or as the second act in a complete evening. CIRCUS VALENTINE First produced – 1978-79 Humana Festival, Actors Theatre of Louisville. A small family circus confronts the end of their run as the Ringmaster makes a decision that saves two lives, but sacrifices everybody else. Many good monologues, often heard in auditions. First Published by Smith & Kraus in Marsha Norman Volume I: Collected Plays. THE HOLDUP First Produced – 1983 San Francisco. Based on Marsha’s Grandfather’s stories of his childhood in New Mexico, a coming of age tale for a young man at odds with his rancher brother, and America’s entry into the modern world. Archie encounters the last member of the Hole in the Wall gang, a gorgeous former bordello girl who now owns a hotel, and the approach of World War I. A comedy for four people, which prompted the San Francisco reviewer to comment, “Who does she think she is, Neil Simon?” First Published – 1987 Dramatist Play Service, NY. First Produced – 1982 Cambridge, MA. Jessie, an overweight epileptic young woman who lives with her widowed mother, announces her intention to commit suicide in this Pulitizer Prize-winning play. It receives high praise for its unflinching portrayal of Jessie’s deliberate choice to destroy herself in the face of her mother’s mounting terror. TRAVELER IN THE DARK First Produced – 1984 Cambridge, MA. Starring Hume Cronyn and Sam Waterston. A doctor is forced to re-evaluate everything in the light of the death of his nurse and friend. This is Marsha’s play about faith and the failure of intelligence to see us through the hard times. First Published – 1991 Dramatist Play Service, NY. LOVING DANIEL BOONE First Produced- 1991-92 Humana Festival, Actors Theatre of Louisville. Commissioned for the 200th anniversary of the Kentucky, a woman who works in a history museum has found a way to travel back in time and live with Daniel Boone. The man who is sentenced to community service in the museum, falls in love with her and has to travel back to Boonesboro to fight Daniel Boone for her. Originally directed by Gloria Muzio, Marsha believes this is her funniest play. Published by The University Press of Kentucky in By Southern Playwrights: Plays from Actors Theatre of Louisville and by Smith & Kraus in Marsha Norman Volume I: Collected Plays. SARAH AND ABRAHAM First Produced – 1987-88 Humana Festival, Actors Theatre of Louisville. An improv theater company works its way toward a classical production of the Bible story, revealing that the same gender and marital conflicts that existed in Bible days are still present in the rehearsal room. Some feel this play is about the moment when power on earth shifted from women to men. Published by Smith & Kraus in Marsha Norman Volume I: Collected Plays. TRUDY BLUE First Produced – 1994-95 Humana Festival, Actors Theatre of Louisville. A woman who has received a diagnosis of a terminal illness tries to make sense of her life, her fantasies, her future, and her alter-ego, the main character in her novels. Published by Heinemann in A Decade of New Comedy: Plays From the Humana Festival; by Smith & Kraus in Marsha Norman Volume I: Collected Plays; and by Smith & Kraus in Humana Festival ’95, The Complete Plays. Directed by Lynne Meadow, and based on a Colette short story, the play is the story of a southern poet who gives up her last young lover to complete her life’s work. Original production starred JoBeth Williams and Lorenzo Pisoni. Published by Samuel French. LOVE’S FIRE: FRESH NUMBERS BY SEVEN AMERICAN PLAYWRIGHTS First Produced – 1998 Joseph Papp Public Theater/Newman Theater, Off Broadway, NY. MERRY CHRISTMAS First Produced – 1979 Humana Festival, Actors Theatre of Louisville. A family copes with their mother’s sudden deafness when she is released from the hospital for Christmas. 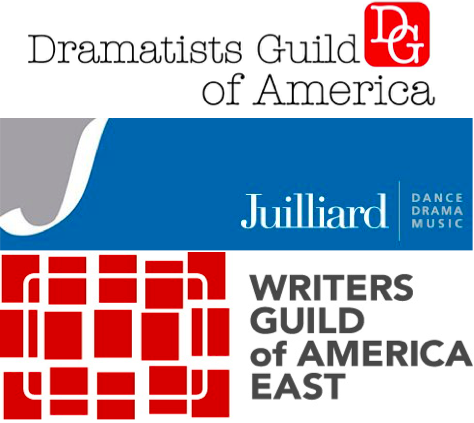 In fall 2016, Samuel French launched Playwrights Welcome, a national initiative for Dramatists Guild Members that asks theaters to offer unsold tickets to professional playwrights on the day of a performance. For more information on Playwrights Welcome, click here.